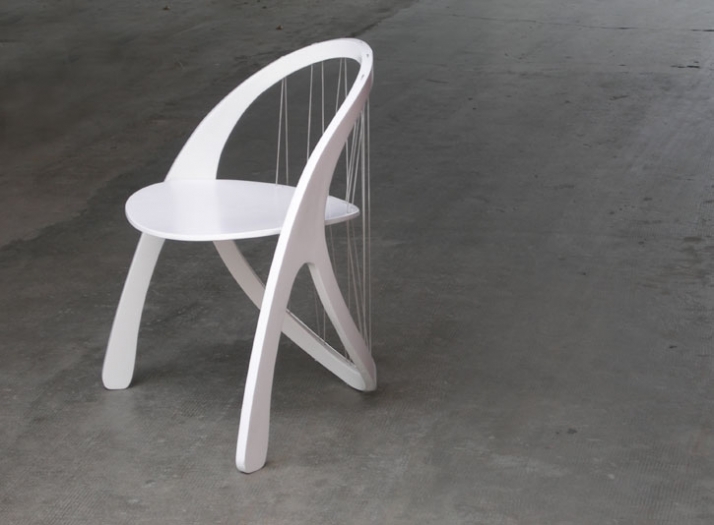 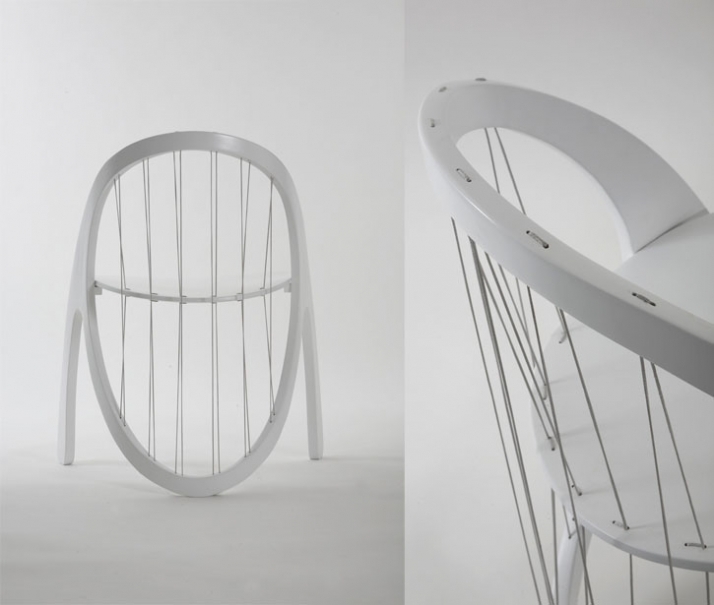 Characteristics : Bent wood chair with a thin seat stretched by a system of Kevlar strings. 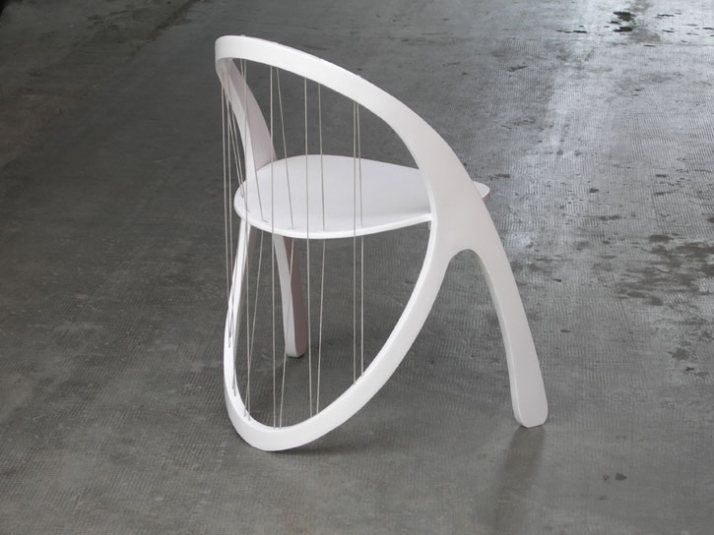 Materials : Bent stained beech,plywood seat, Kevlar strings. 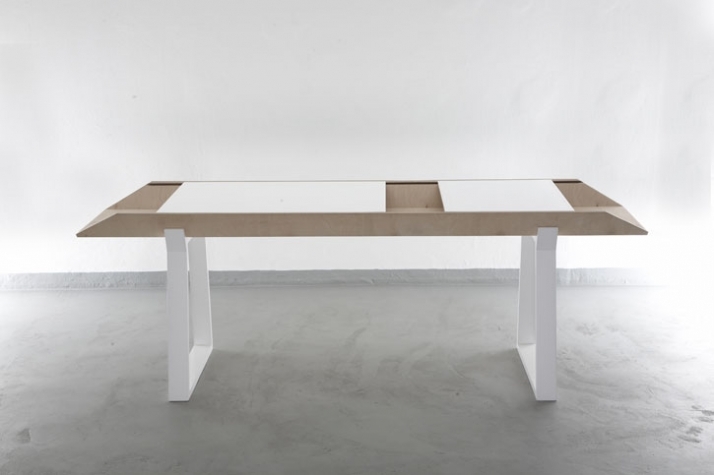 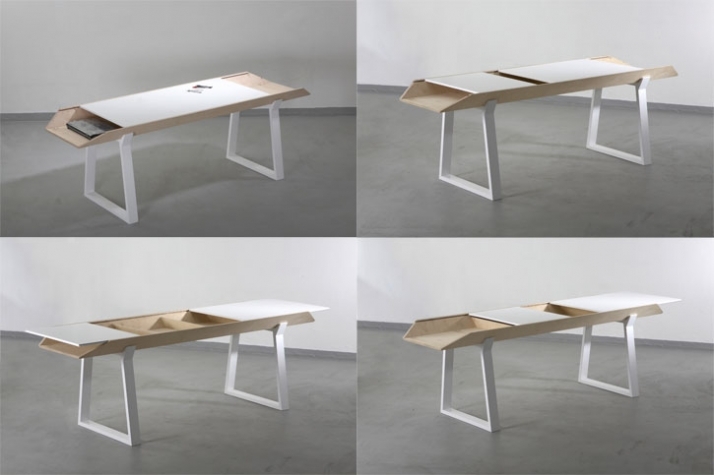 Characteristics : birch plywood writing desk made by mobile planes sliding on a case-structure. 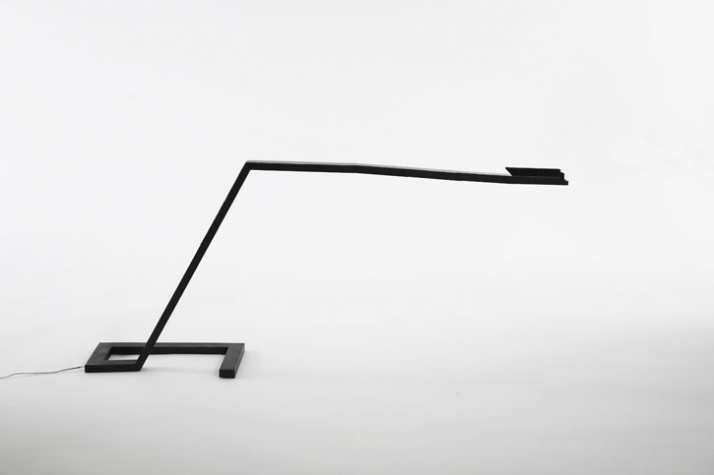 Characteristics : Linear light table lamp consisting in a metallic profile structure . 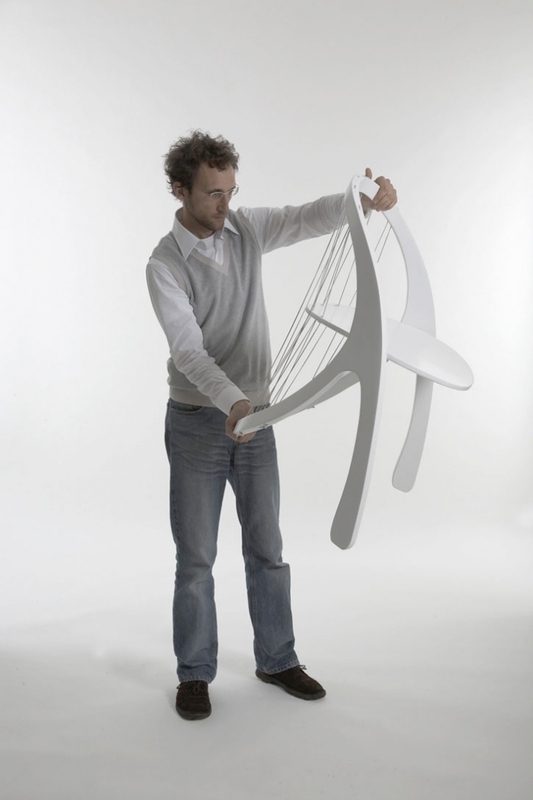 The final part is divided into modules, hanging on a fabric strip, each one containing led. 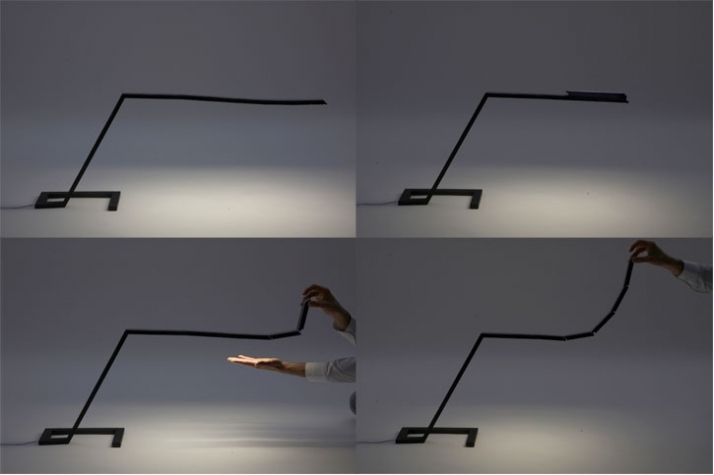 This kind of system allows to turn off in sequence every single element through a simple movement and to use only the useful quantity of light : by modifying the length of the lamp it's possible to manage intensity and position of light, with a great energy saving.